Husse Finland took part in PetExpo in Helsinki last weekend (12th and 13th of November). Last month Husse Moscow participated in the International Exhibition BUYBRAND 2016. Event gathered 186 exhibitors from 16 countries who presented their Franchise concepts. 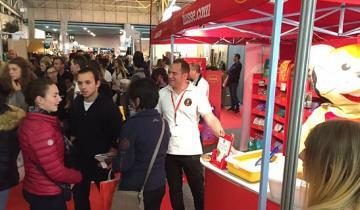 From 26th to 30th of October Husse France took part in Equita EUREXPO in Lyon. This is one of the biggest Horse Show in the country - 10 arenas, 2,000 horses, more than 600 exhibitors and breeders and almost 160 000 visitors!